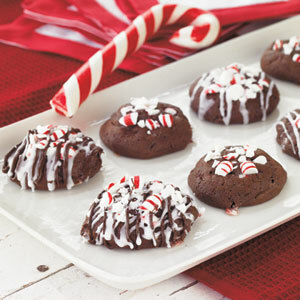 i made peppermint chocolate cookies from martha last year that look similar to those --- they were fabulous! Next time, please let me know what time I should come over for dinner. Thanks. bean with napkin on head. tee hee! um, yeah... can I please get the site that gives off the list of gifts? seriously... i think i'm out of ideas.